Huawei P30 Pro is a high-end smartphone with a triple camera on the back and 10x optical zoom capability. It comes with a 6.47 inches OLED display with 1080 x 2340 pixels and 19.5:9 screen ratio. In Malaysia, Huawei P30 Pro priced from RM3799. Huawei P30 Pro bring a triple camera with TOF 3D sensor to capture depth information. The phone use 40 MP for the primary lens, 20MP for the ultrawide lens and 8 Megapixel periscope lens with hybrid 50x zoom capability. 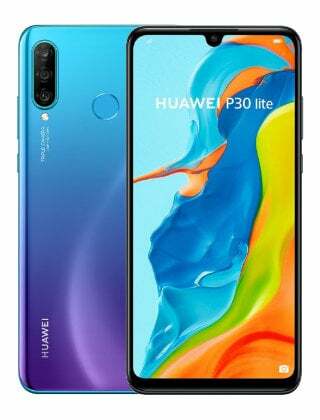 Under the hood, Huawei P30 Pro powered by Hisilicon Kirin 980 CPU, latest Android Pie platform, up to 8 GB RAM and up to 512 GB internal memory. The phone also featured with a fingerprint scanner on the back, Li-Po 4200 mAh Battery battery with fast charging. Huawei P30 Pro price in Malaysia from RM3799 for the 8GB / 256GB model and RM4399 for 8GB / 512GB model.